I spent two nights and Huvafen Fushi and I wish it had been longer…it is a magical island paradise, just 30 minutes from Male by speedboat. It boasts 44 contemporary bungalows and pavilions, powder white sand and the most wonderful house reef. I was lucky enough to stay in an Ocean Bungalow. It was stunning with a glass floor in the lounge so you can watch the fish and rays below, a huge jacuzzi bath overlooking the ocean, a private plunge pool and a lovely daybed – perfect for a sundowner after a day of snorkeling, sunbathing and spa treatments. The spa at Huvafen is gorgeous, set on the end of a pontoon, with incredible views. It is home to the world’s first underwater spa and the treatment rooms are magical. During the treatment, the therapist places a mirror on the floor which reflects the marine life as it glides by. A truly memorable experience. We had lunch at Raw on our second day and it was incredible. The closest I had been to a raw meal is a salad so I was not entirely sure if it was my kind of thing. But I have been converted. 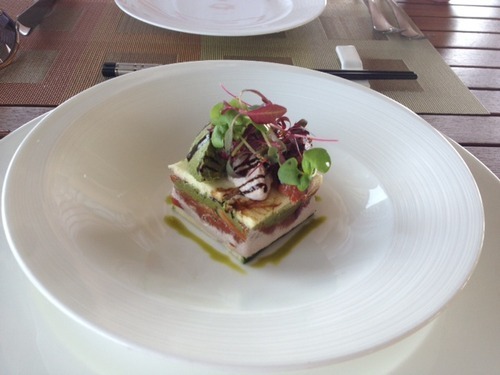 The lasagne and pizza were incredible, as was the avocado and salmon tartar. Delicious. 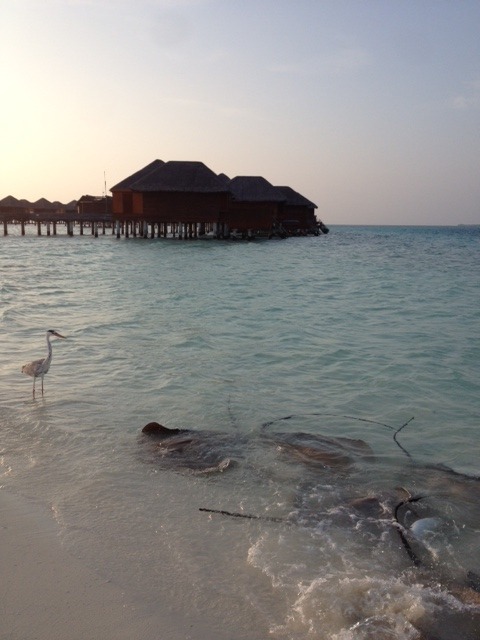 Our last night at in the Maldives was spent watching the stingrays being fed on the beach; this happens every evening and is something that must be witnessed whilst staying at Huvafen Fushi. We then went for sundowners and had dinner at Salt, Huvafen’s fabulous signature restaurant. Salt is situated on a pontoon, so not only are the views stunning, but you can watch the nurse sharks swim around you as you enjoy the fantastic food and perfect service. 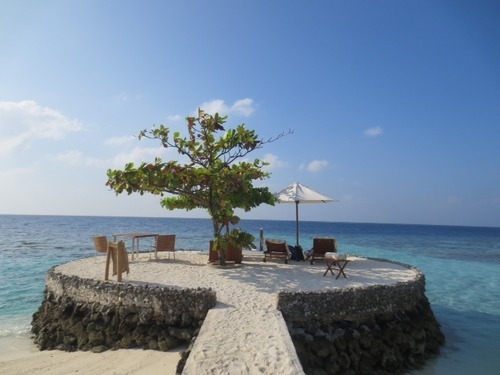 There are some wonderful offers for those wishing to visit Huvafen Fushi in the next couple of months. 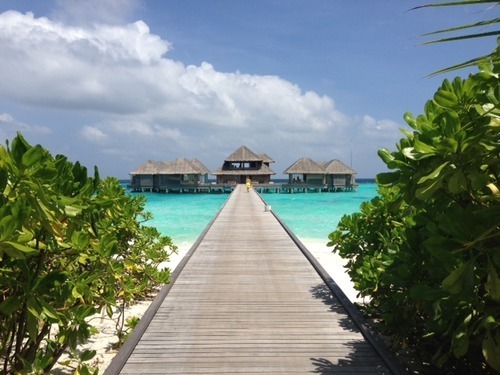 Please contact one of our Maldives specialists on 020 8682 5075 for more information.